A wooden aircraft is flying the California skies, but this is no spruce goose. LG-1K, developed by Logistic Gliders Inc under contract with DARPA and the U.S. Marine Corps Warfighting Laboratory, is meant to be a very low-cost drone capable of being released from fixed-wing aircraft or helicopter. The plywood and aluminum drone is 10.4 feet long with a 23-foot wingspan. The LG-1K can carry up to 700 lb.s of supplies. 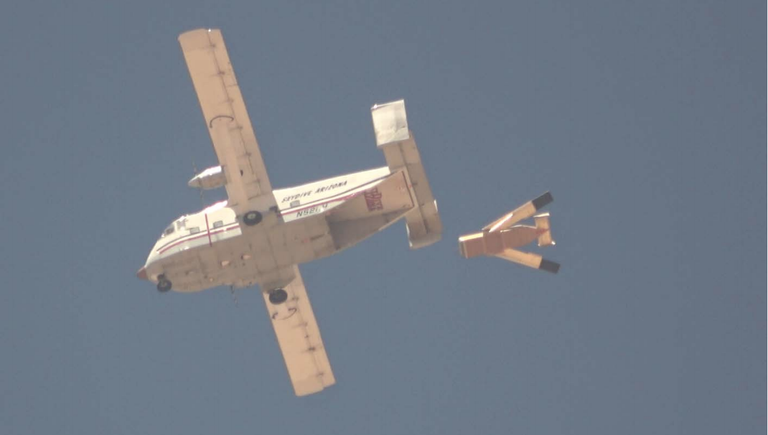 It’s now flown twelve missions demonstrating its ability to glide—in some cases autonomously—to a landing zone with GPS precision.